This book took forever to read, for some reason. 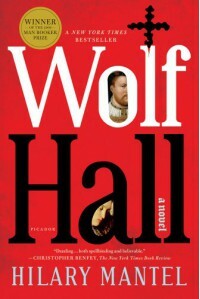 No offense to Hilary Mantel and Wolf Hall, but I’m ready to move on. This is one of those books I bought like a year ago and for some reason never got around to reading. After being immersed in English political history for my thesis for the last three weeks, the time seemed right so I finally cracked it open. I think maybe because I’ve been waiting so long to read this and so many people have told me how good it is, I was a little underwhelmed. It is hardly three o’clock, and already the room is half dark. He picks up the younger child, who flops against his shoulder and falls asleep with the speed at which someone pushed falls off a wall. It is hardly three o’clock, and already the room is half dark. He picks up the younger child, who flops against his shoulder and falls asleep as fast as a man who’s been pushed falls off a wall. Maybe overly casual but it makes more sense. I don’t know. Anyway. We can’t discuss Wolf Hall without discussing Thomas Cromwell. Mantel’s hero (antihero? It’s hard to tell) is a fascinating character study. He’s at once brutish and tender, boorish and refined, low-born but well-educated. He’s intelligent and manipulative and weasels his way into Henry VIII’s innermost circle until he’s essentially steering the kingdom. Cromwell is easy to like and easy to root for, without being too perfect. That’s not the problem. The problem is that we never know exactly what Cromwell wants. He wants power, yes, to remain in the king’s good favor, obviously, but what’s lacking is an overall goal. What does he want? What’s in his way? Cromwell is a little too laissez-faire about everything. Nothing major ever seems to be at stake. I think that fact is partly to blame for why it took me so unbearably long to finish this book. It’s dense, yes, and packed with historical detail, but I love that stuff. 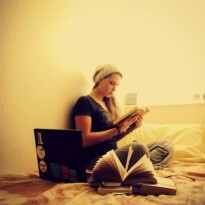 What I don’t love is a story that doesn’t really compel me to keep reading. Cromwell has ups and downs but on the whole seems pretty content. There’s rarely a sense of real urgency, that desire to bury your face in the book and ignore all your phone calls because you can’t wait to see what happens next. Other minor grievances include Mantel’s tendency to jump from scene to scene without clear transitions, her occasional random use of the word ‘we’ without ever specifying who ‘we’ is, and her tendency to use the pronoun ‘he’ too liberally, when there are thirty men in the scene and you have no way to know which one’s speaking or acting. Generally we have to assume it’s Cromwell but it’s still confusing. Is it still worth reading? If you’re into English history, sure. If not, you might struggle with it. It’s well-written for the most part and exhaustive in its attention to historical detail, but if you like a hero with a pretty clear motive, you might pass it by. Will I read the sequel anyway? Probably. If nothing else it’s shorter.